What If I Can't Change? aka Are You A Leopard? 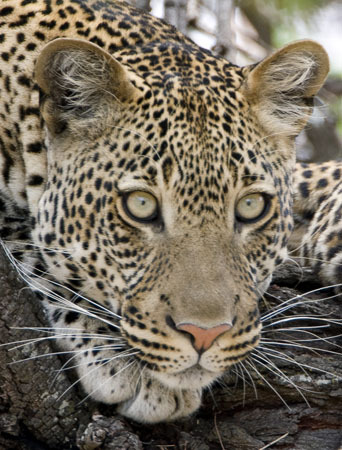 People say that Leopards can’t change their spots. Some people also say that they can’t change themselves. Since this blog is all about what you can and can’t change, let me give you an example of what I think is something you can’t change. Recently I’ve been trying to get internet back at the house. Yes, I know that in my prior blog post about shutting off the internet I talked about how wonderful it was. Then my wife and I decided that we could run my business and her business so much better if we had internet back at the house. I could be available for online sessions and all that, and still have our relationship be fantastically amazing. Just so you know, I had a pretty bad experience with my cable company, and as a result, I wanted to do something different. So I call up Verizon to see if I can get DSL at my house. It turns out that I am “too far away” from a Verizon plant (or something like that) and it seems that they don’t offer DSL here. I can’t even get internet through Direct TV with them. I try another company. And another. Nada. Zilch. Nothing. It seems that the only company I can get for High Speed internet, is the same cable company I didn’t want to do business with. It seems they have a monopoly on my city, and it didn’t matter if I wanted to do business with someone else, I couldn’t. That is an example of something you can’t change. So let’s figure out how you got to thinking you couldn’t change, shall we? Think about your life for a minute. Well, OK, maybe longer than that, but think about the major events in your life and what happened as a result of them. Think about the way you were raised and the model for behavior and rules that your parents set up for you. Either way, someone somewhere told you that you couldn’t change. Maybe it was you, maybe it was your parents or your significant other. Someone told you this, and this really comes down to the Words portion of the WATER Method. Specifically, WTA: Words, Thoughts, Actions. See, Words are what we tell ourselves about ourselves. So no matter who told you that you couldn’t change, somewhere you decided to believe them. This eventually affects your thinking, or Thoughts, and as a result, you stopped telling yourself that you couldn’t change, and just started believing it. After this, your Actions are affected by your Thoughts, even if those Actions cause things to happen that you don’t want. Hogwash. You can change, but its likely one of a few things are going on. Either you’re afraid to change, you don’t want to, or you don’t believe you can. There is always something that can change, but you have to have the strength, courage or faith in your ability to do so. 1. Think about what you want to change. Think about what your life would be like if you could change. You need something to aim for in order to change, find that thing. 2. Realize that change takes time and work. If it were easy, everyone would change all the time. Its not, so its hard. Guess what? Life is hard. So is change. You want to change, its going to take some work. 3. If you can change your clothes, your shoes, your underwear, or your socks, you can change your behavior. You have to believe that change is possible, so put it into simpler terms if you must. Heck, break it down into easy baby steps so it doesn’t seem so dramatic. For a country that was so hellbent on “Change You Can Believe In” and “Yes We Can”, I’m amazed at how many people say: No I Can’t. I guess its easier to vote for a new president than it is to change your own life. Am I calling you out? Yes I am. Why? Because you want to change. I know you do. Are you going to be a leopard? Maybe its time you changed your spots.